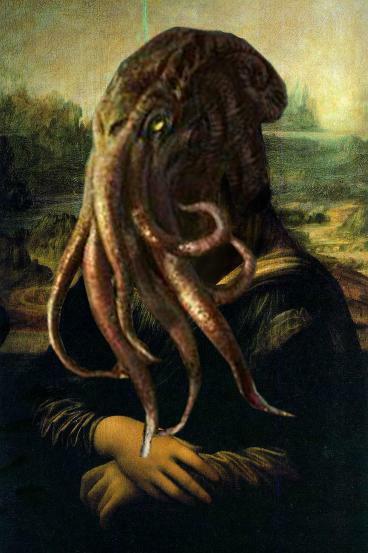 The Lovecraftsman: Behold the Cthulhu Mona Lisa. Fhtagn! Behold the Cthulhu Mona Lisa. Fhtagn! The thing I love most about this picture is her enigmatic smile!